Nick and Tesla's parents dumped them in small-town USA to live with their eccentric uncle for the summer, and they're not exactly sure what they're supposed to do for two months. Turns out their uncle is a pretty cool, if kooky, scientist, and the assorted materials and gadgets to be found in his house are just what Tesla and Nick need to solve the mystery lingering about their new neighbourhood. Lovely! The colours are clean and bright, and the illustration style is wonderfully suited to a middle-grade novel; the sense of movement in the art makes for an engaging, attractive cover. The fonts are well-situated and pleasingly embellished, without being too decorated. Omniscient voice never worked so well as in middle-grade. Nick and Tesla are characterized in a few brief, efficient strokes, and the narration dips into both their heads for the occasional internal thought to further develop them. Their sister-brother dynamic is wonderfully authentic and delightful fun to read, making their interactions with the friends they make all the more heartwarming. And oh gosh, the secondary characters are good. Silas and Marco's interactions -- banter, really -- and a few scenes with their family help to develop them as fully as Nick and Tesla. Their contributions to Tesla and Nick's escapades only further endear them to the reader. "Pleasure doing business with you," Elesha said as she folded the bills and stuffed them in her pocket. She cocked an eyebrow at her brother. "Good acting, crybaby. Or was it acting?" DeMarco showed her his fist. "I'll show you what real crying is, if you'd want," he said. "Ha. As if you'd dare." Elesha turned her back to DeMarco, flipped her cornrows over her shoulders and went sashaying away. "Your sister is one tough second-grader," Nick said. 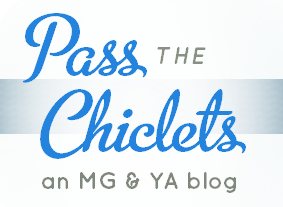 The plot unfolds on two levels: the self-contained mystery arc develops briskly and enjoyably, while the larger, series-wide arc concerning their parents is established slower, a hint dropped here and there. This sets up the anticipation that will carry readers into the next book, while the book-by-book mysteries will keep them going. 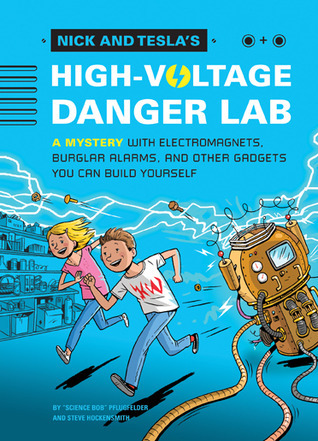 Perhaps the most unique aspect of Nick and Tesla's High-Voltage Danger Lab is the four or five DIY science experiments that come with complete instructions and neat illusrtations. These experiments are perfectly integrated into the story itself, which goes to show their real-life practicality. I'm positive these experiments will be happily received by any adventurous kid, science-minded or not. Ethnic balance: 2 out of 5. DeMarco and his family are POC, yay.